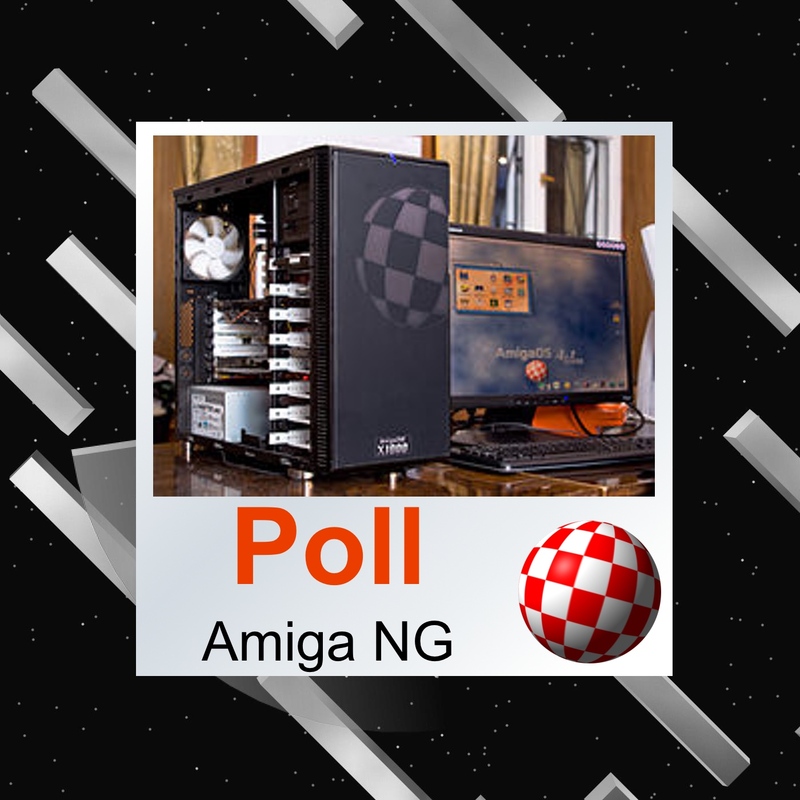 Welcome to the second poll for Amiga community! The results of the poll: Amiga Next Generation. Poll took place from 18:00 (6:00PM) 21st September until 30th September 18:00 (6:00PM) - (2016) - Berlin Time Zone / Central European Time Zone! The only first question is a single choice, all of the rest are multiple choice. This means you can select one or more answers for every question (apart from the first question). There are 15 questions for you to answer. After the survey is finished I will publish result exactly here - the same entry on the blog. The results of the poll for Classic Amiga is here: http://www.amigapodcast.com/2016/08/poll-usage-of-classic-amiga.html. As you see the poll was not so perfect. Prepared by me... for the first time. But I think it will show how we use NG Amiga. I have hope, that it can be also useful for our developers and hardware manufacturers. And at the end, the most active part of Amiga World is Europe. The maximum number per question of votes 758 and maximum 452 voters. Next generation AOS should be Power Architecture! In my opinion , only one common operating system will gain a sufficient number of users. MorphOS, AmigaOS, Aros Rulez. Type of processor is a secondary matter. I agree with Kaczus. NG OS features should be backported to classic. FPGA rocks. Some awkwardly asked questions there... Specifically what the NG Amiga hardware should be. The questions need to have either more options for answers or an "other" option with space for comments. About half of the questions I left unanswered because there weren't any appropriate answers and the negative answer options like "none of the above" aren't right either. As Unknown and Anonimowy said above, many of the questions (and answers!) are biased or awkward. For example, why aren't there options for using productivity or utility software in the "what do you use NG system for" or similar options for what you'd like to see produced? Games, music and Internet aren't the only things an NG system is good for. We need serious software and hardware to allow real work to be done with these machines. Basically, you're either asking the wrong questions or you're trying to put the wrong words in our mouths by offering the wrong, or incomplete, options for answers. Hmmm, Bit sad on the sample size. 452? In my opinion is not so bad. It's better that I was thinking it could be. I'm surprised that AmigaOS 4 is much more popular than MorphOS. Z ankiety jasno wynika, że AROS mało interesujący, tylko demoscena ma mniejsze zainteresowanie, mam nadzieję że to da ci do myślenia Radzik, mrzonki o opensource i darmowym sofcie raczej też, widać to w pytaniu ile powinien kosztować program. Poza tym widać że twoja tendencyjność w tworzeniu pytań nie tylko na polskim podwórku zastała zauważona. Szkoda że taką szansę zmarnowałeś na zdobycie, choć w przybliżeniu, statystyk odnośnie poszczególnych systemów... Po kiego grzyba mieszać wszystkie NG skoro są trzy odmienne... Tak czy inaczej życzę powodzenia i mniej bobów w przyszłości. Bardzo fajnie przeprowadzona ankieta. Wyraźnie pokazuje jak mizerne i, za wyjątkiem web browsera, różne w swych oczekiwaniach wobec Amig NG. Swoją drogą zastanawiające jest wykorzystywanie Amig NG do tak prozaicznej rzeczy jak granie - nie ma na tej planecie systemów mniej przyjaznych grom jak Amigi NG. Masochizm?